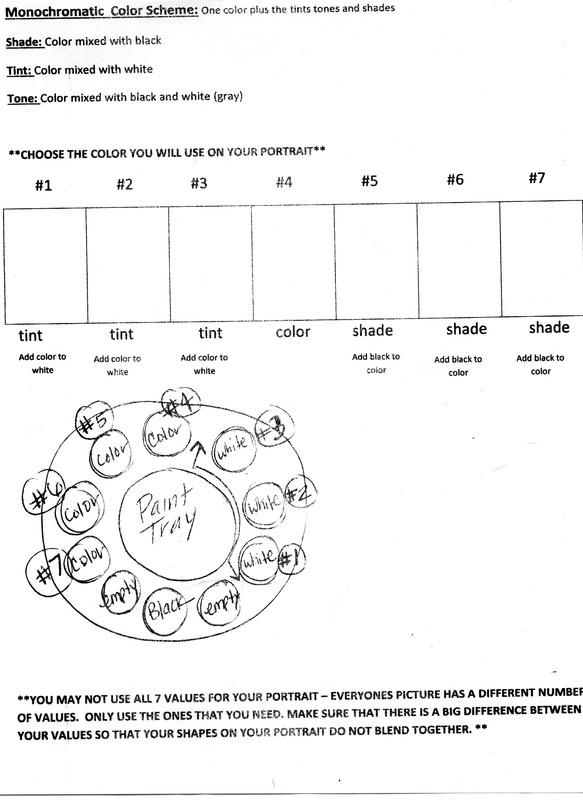 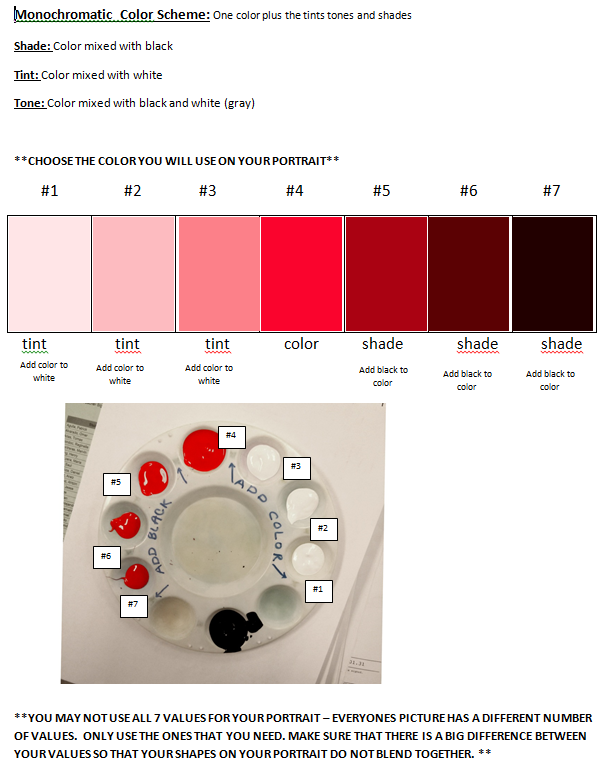 Select the color you would like to paint your Monochromatic self portrait in. You will mix that one color with black and white to create a monochromatic color scheme. 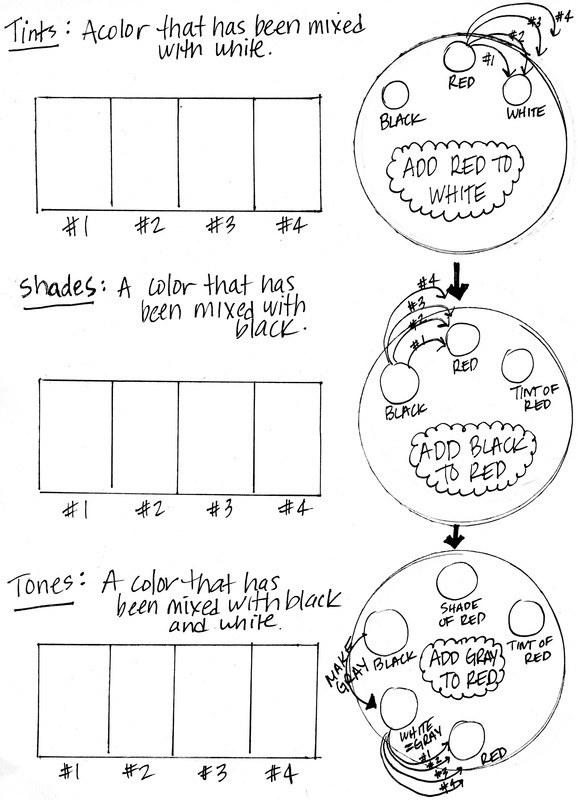 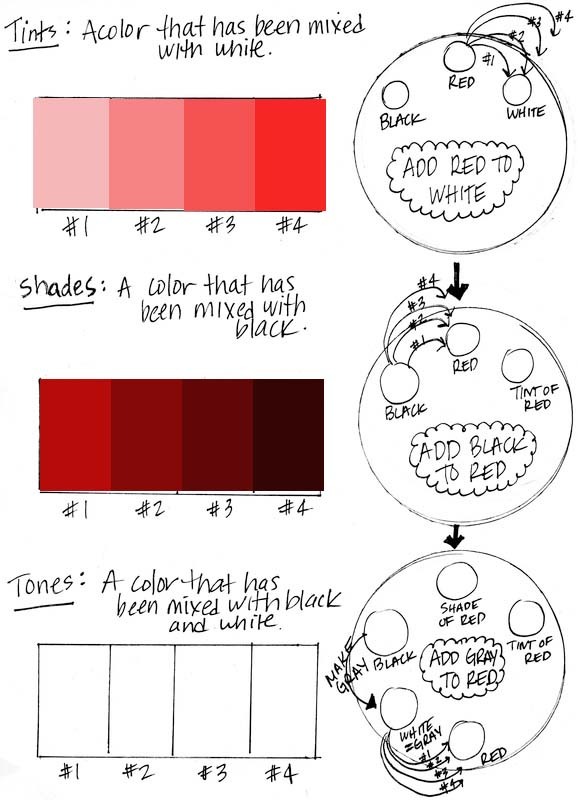 Create two value scales from light to dark.